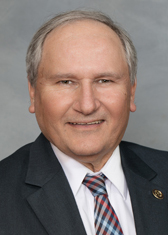 Despite criticism from the Republican chair of the State Board of Education, members of the state House of Representatives voted Thursday to clear speedy expansion for some North Carolina charters. Under House Bill 779, charters would be able to boost their enrollment by up to 30 percent without seeking state approval, provided they have not been identified as low-performing. The version that emerged on the House floor Thursday night included several modifications from the GOP-led bill, which had called for any charter, regardless of academic performance, to have clearance for expanding enrollment by up to 40 percent. That idea spurred opposition from Democrats and State Board of Education Chairman Bill Cobey, whose panel has final say on charter applications today. If the legislation is approved by the state Senate, which seems likely, it would lift the expansion bar for many charters from 20 percent. Critics say the idea could weaken quality control among the state’s charters. Nevertheless, bill sponsor, Monroe Republican Mark Brody, argued in a divisive committee meeting Monday that the relaxed charter regulations would be a boon to parents who have chosen to enroll their children in the state’s growing charter sector. Under state law, the publicly-funded schools are exempt from curriculum and staffing regulations imposed on traditional public schools. Republican lawmakers, particularly in the state Senate, have been keen to reduce charter regulations and increase charter funding in recent years, one major reason why Brody’s bill is likely to find a receptive audience in the Senate. The version approved Wednesday did not, however, include additional revisions sought by Democrats, who argued a charters’ finances and enrollment commitments should be checked by the state charter office and the State Board of Education before authorizing such growth. Brody’s bill was, of course, not the only major charter bill swept through the legislature this week as lawmakers rushed to meet Thursday’s bill crossover deadline. House legislators also backed a proposal to set aside half of a charter’s enrollment for the children of so-called “charter partners”—private companies that provided land, infrastructure, renovations or technology to a charter. One Democrat argued this week that the bill would allow school choice backers to convert charters into “de facto, segregated private schools” paid for with public funds, a sentiment echoed this week by the progressive N.C. Justice Center’s Education and Law Project. The bill is likely to find support among GOP leaders in the state Senate, although it’s unclear whether Democratic Gov. Roy Cooper would sign off on either charter reform.